Dr Baldwin specialises in using participatory and visual methods to research institutional and social-environmental change on topics as diverse as water allocation and coastal planning and climate change adaptation as well as affordable housing, and all-ability and age-friendly communities. Her book, 'Integrated Water Planning: Achieving Sustainable Outcomes' (2014) is based around the need for appropriate evidenced-based water planning in developed and developing countries. Her project Infill Development for Older Australians in South East Queensland (www.usc.edu.au/seniorliving), won the 2012 Planning Institute of Australia (Qld), Excellence Award for Cutting Edge Research and Teaching, and the International Association of Public Participation Australasian 2013 Core value award for participatory research. Dr Baldwin's Phd from University of Queensland was on 'Consensus-building in water allocation'. She has over 55 peer-reviewed publications, and grants regarding coastal governance, water allocation, planning for seniors and disability, and community engagement. 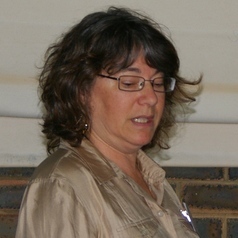 Prior to joining academia in 2006, Claudia worked for over 25 years in land-use and environmental policy and planning in federal and state governments as well as in consulting both within Australia and overseas. As a result she has an interdisciplinary and cross sectoral background related to both social and environmental aspects of planning. She also led a multi-university team to improve experiential learning in planning schools across Australia.